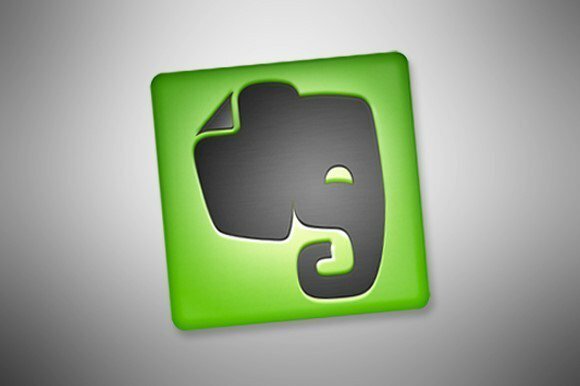 Three third-party web apps leverage the power of Evernote to organize all facets of your busy life. Evernote is unbeatable for capturing and organizing all kinds of data. But you can amplify its power by pairing it with any of a number of third-party web apps. We especially like those that help streamline processes and organize information. Here are a few of our favorites. Though a paperless society still eludes us, services like FileThis are keeping the dream alive. This service connects to your online accounts—banks, retail, health, and auto insurance—and fetches digital copies of all your statements, bills, and other documents. It stores them securely in the cloud where you can access them from your personal dashboard. FileThis aggregates your online bills and statements and delivers them to Evernote. 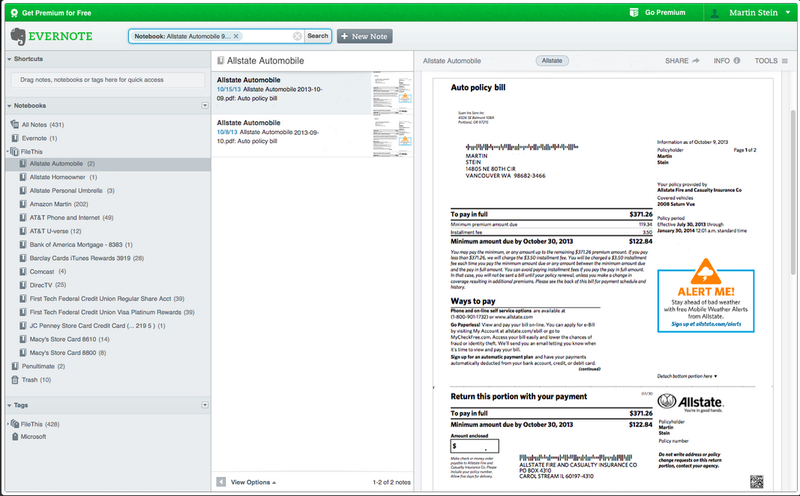 With the Evernote web app, you can have all these documents delivered to Evernote in account-specific notebooks. FileThis offers three plans: free, which gives you up to six connections with 500MB of storage; premium, with up to 12 connections and 1GB of storage for $2/month; and Ultimate with up to 30 connections and 10GB for $5/month. One of the most popular productivity approaches is David Allen’s Getting Things Done methodology. But as it’s based around a system of habits, it’s not a quick fix. FacileThings helps you develop these habits and gives you the tools to maintain them. 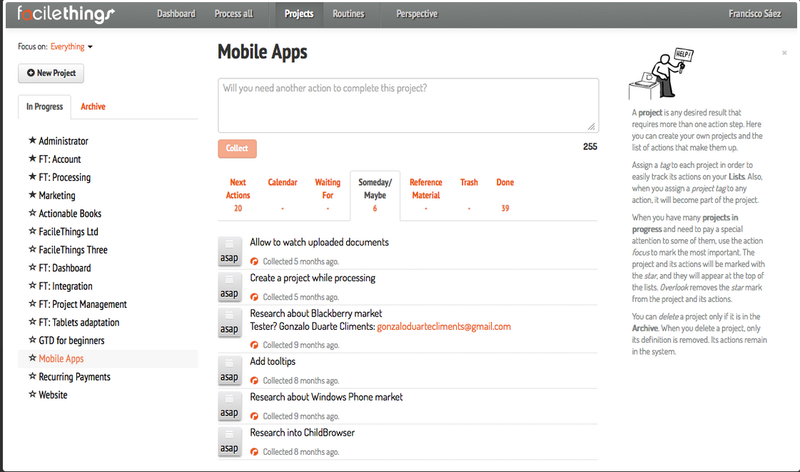 FacileThings uses the GTD approach to keep you organized and productive. This personal management system is built around the core GTD pillars of collecting, processing, organizing, reviewing, and acting. It leverages Evernote’s ability to easily capture tasks, ideas, notes, and other data to get your productivity workflow started. FacileThings requires a subscription. Plans range from $12/month to $84/year but come with free 30-day trial. Managing your professional relationships and all the content generated around them is tough when you use an array of digital tools. Cloze works like a personal assistant, tracking your interactions with contacts and getting you the information you need when you need it. Cloze assembles all the content generated by your business relationships in one place and keeps it top of mind. Cloze is more than a simple contact manager. It pulls details from social media, emails, notes, meetings, exchanged documents, and more to build your history with each person or business you interact with. Then the next time you, say, call a client, you have all the information you need in one place. Cloze will also learn by your behavior who is important to you and prompt you with reminders to keep other relationships from lapsing. 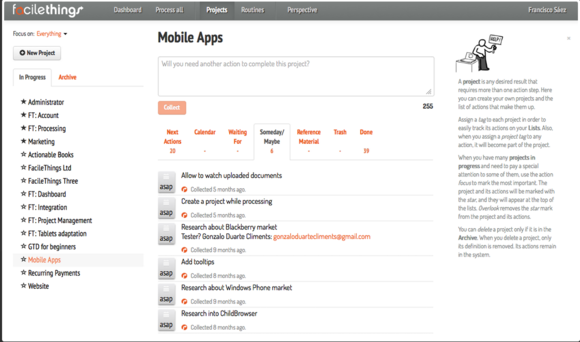 Cloze integrates with Evernote to help construct these relationship profiles. Business cards scanned with Evernote are automatically added to Cloze. 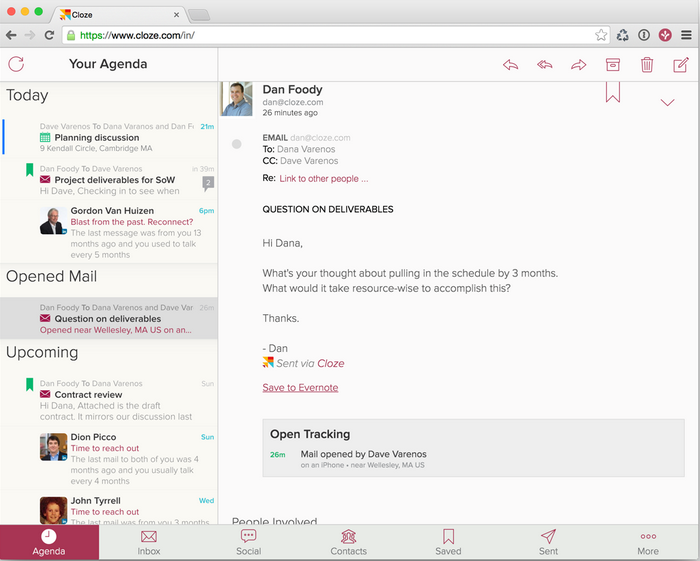 You can also log meeting and call notes and save emails to Evernote from Cloze. Cloze offers a basic smart inbox and contact manager for free. For the full relationship management feature set, you’ll need the Cloze Pro account for $20/month.